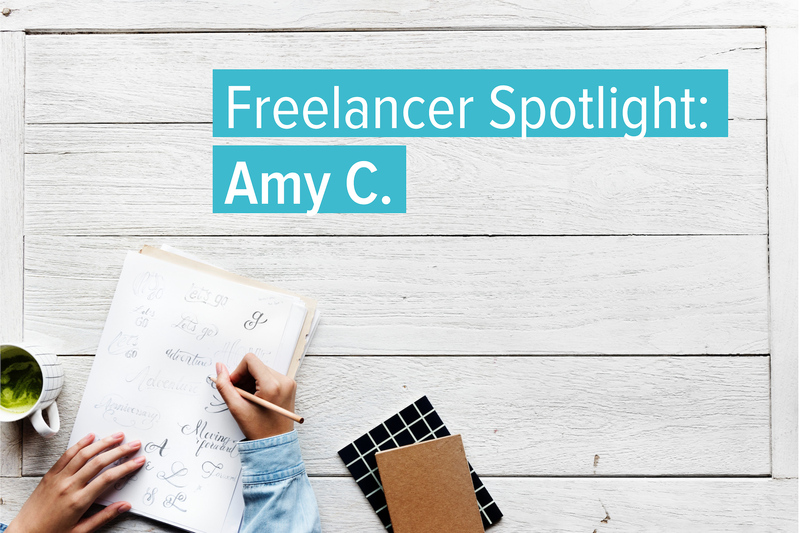 Amy C., a ConceptDrop copywriter, has always enjoyed writing, but struggled finding a job out of college as an aspiring novelist. “Getting into advertising and marketing seemed like the perfect way to use my craft to earn a living.” Her career of 18 years in copywriting took off after landing a job writing direct mail copy where she learned a great deal on the differences between editorial and marketing writing. It was Amy’s interest in working with a variety of organizations and assignments that made ConceptDrop intriguing when she first discovered the platform. “I went to ConceptDrop for additional exposure to projects I may not have aquired on my own.” Amy appreciates the platform’s advanced matching technology that pairs her with diverse projects based on her knowledge and skill set. Since joining, her favorite work thus far has been a variety of branding projects for new companies. Her quality work and customer service has left clients speechless and many characterize Amy as a “pleasure to work with”. Want to receive blog articles, exclusive deals, and updates from ConceptDrop? Receive exclusive deals, updates, and more from ConceptDrop.